Nicolo Paganini's ghost made the first overture when the city of Genoa, Italythe legendary violinist's birthplaceinvited the American jazz musician Regina Carter to play a concert on the master's priceless two hundred and fifty year old violin, "The Cannon"so named for its huge sound and sonorous tone. Ms. Carter came, she played; the concert was a brilliant success, though not without its detractors. There are some classical fans who considered it a debasement, a near sacrilege for The Cannon to be placed in the hands of a player of jazz. 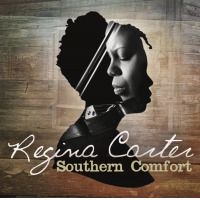 The Carter/Paganini fling might have ended with the one meeting but for a second overture, by Regina Carter this time. She wanted to record on The Cannon. It took a good deal of determination and tenacity on the American violinist's partwith an assist from the mayor's office of the city of Genoabut it was arranged. 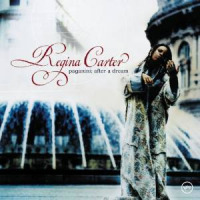 The fruit of the Paganini/Carter love affair is Paganini: After a Dream. From the very opening notes, it is obvious that Paganini's violin is an extraordinary instrument in the gentle hands of a passionate lover. 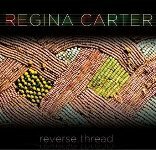 The tone is full-bodied and rich, like a dark honey laced with chocolate; and Carter, though reverent, is also playful and inventive at times. The repertoire, in a nod of respect to the keepers of The Cannon, leans toward the classical side, with four of the tunes coming from the French Impressionist composers, Debussy, Ravel, and Faure. Another comes from Argentine tango master Astor Piazzolla, along with a tune form Carter's long time pianist Werner Gierig, and one of Regina's own compositions, an excerpt from "Alexandra." Gierig's piano on his "Healing in Foreign Lands" is delicately gorgeous, with unfathomable depths, his lightness in perfect counterpoint to the solidity Carter draws from the strings. And "Reverie": Claude Debussywith Regina and Quintet at the helmswings! Paganini: After a Dream won't appeal to those who don't go for strings in their jazz (unless they can be convinced to give it a fair listen), but it is an undeniably important and deeply beautiful set of sounds.